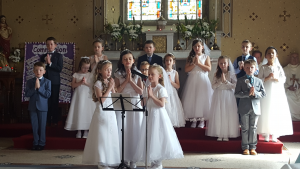 First Holy Communion Date 2017 is Saturday 6th May. 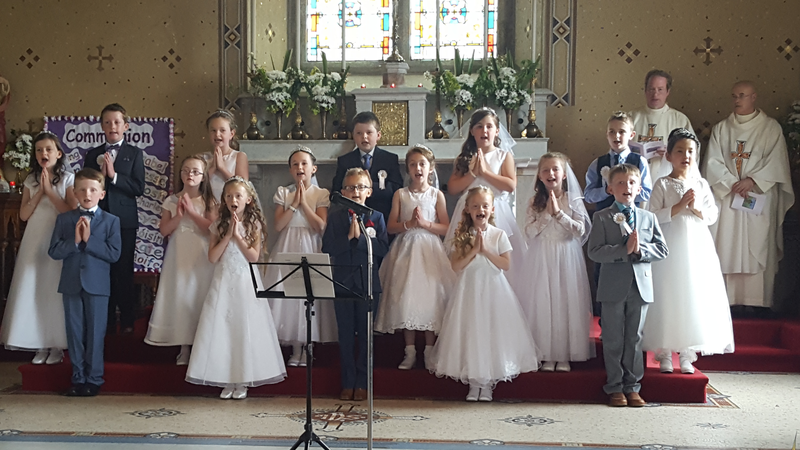 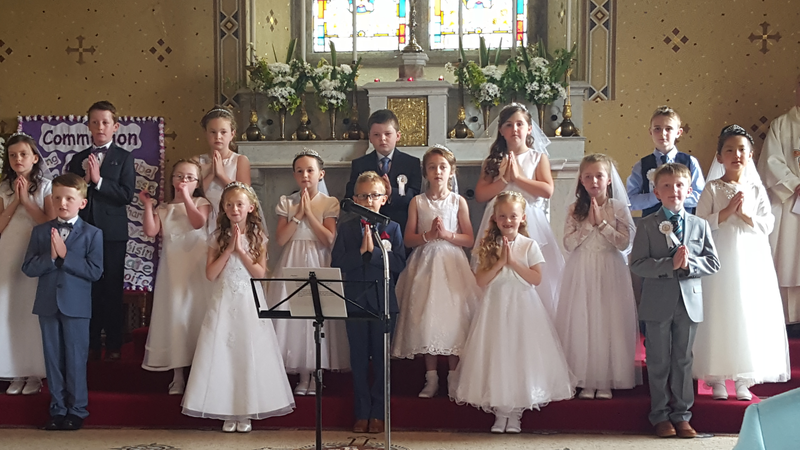 Congratulations to all our pupils who received their first Holy Communion 2016!! 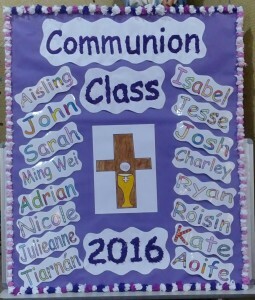 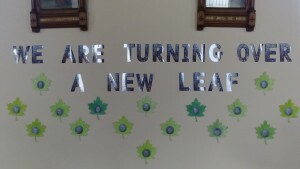 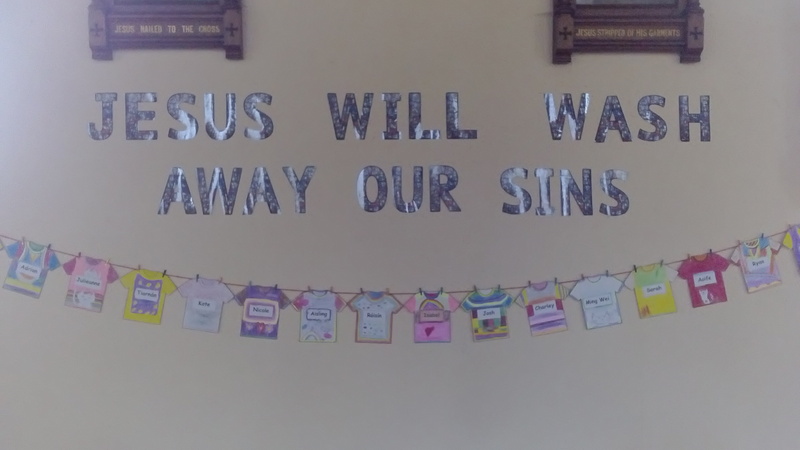 Congratulations to the boys and girls in Second Class who made their First Confession on the 15th of March. 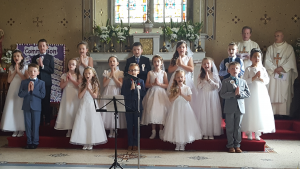 All their hard work paid off and they did brilliantly on the night, well done! 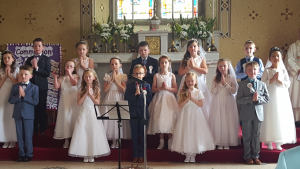 A big thank you also to all the children who participated on the night in the choir and also all the teachers who were on hand to help during the ceremony. Congratulations to the boys and girls of 2nd class who enrolled for the sacraments of First Penance and First Holy Communion. 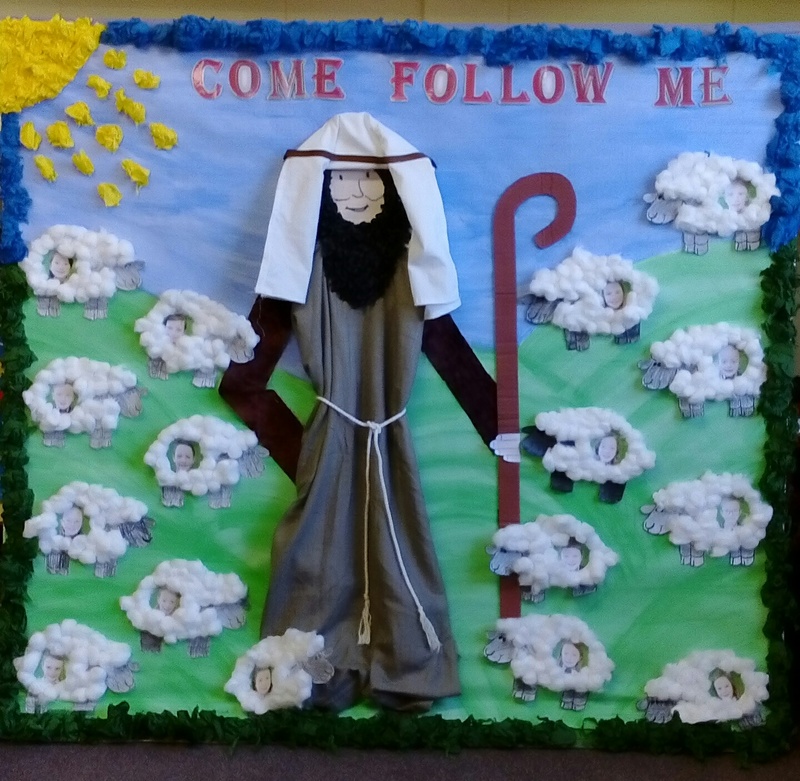 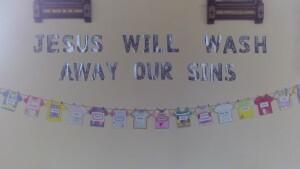 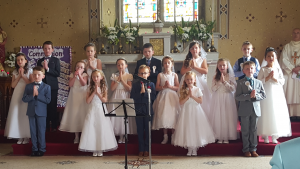 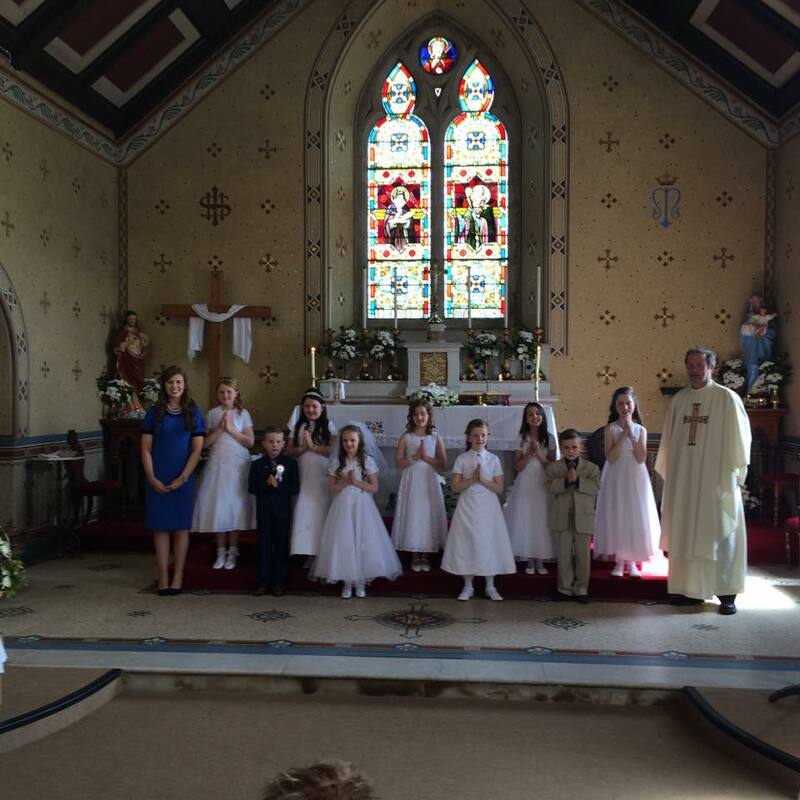 The Holy Communion class had a great day on Saturday the 16th May when they made their First Holy Communion. 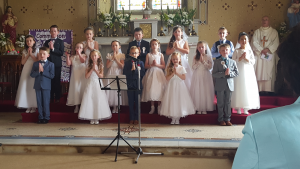 All their hard work paid off and they did brilliantly on the day, well done! 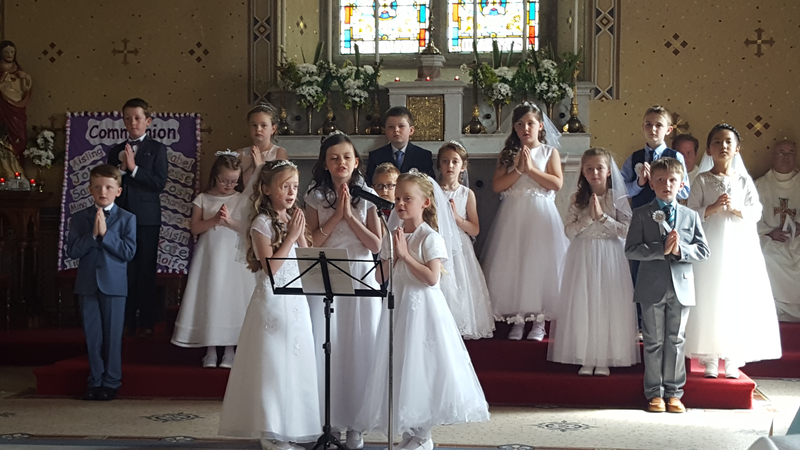 A big thank you also to all the children who participated on the day in the choir and as musicians and also all the teachers who were on hand to help during the ceremony. 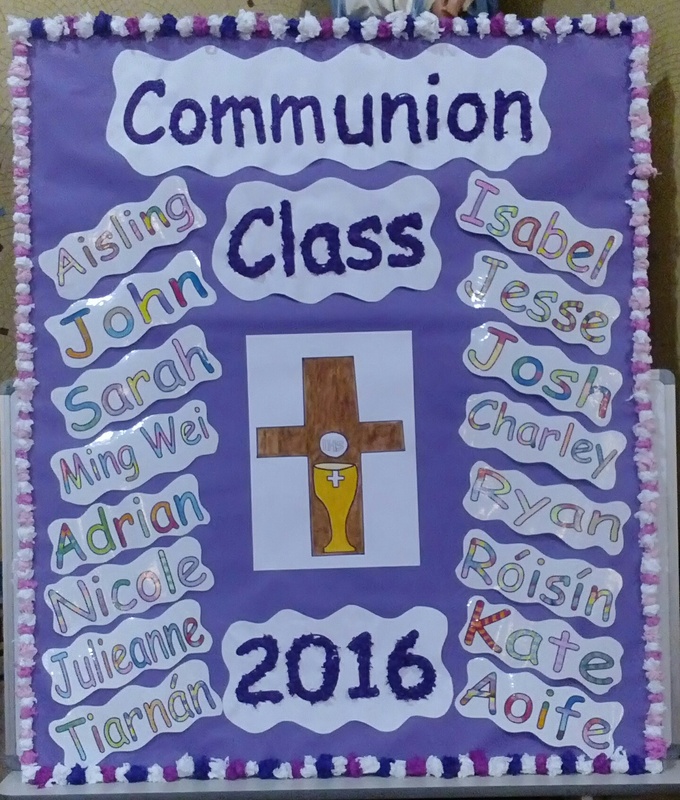 Mrs Duff’s second class are busy preparing for their first confessions.